Lowering work stress is a key goal for many employees and companies. Numerous studies have shown that open-plan offices can have a positive effect on an employee’s health. One study revealed that staff working in an open-plan environment are much more physically active and less stressed during the working day than those seated behind desks in private offices. Being in an open office encourages employees to get up and frequently move around, according to the study. There is also the benefit of plenty of natural sunlight streaming through windows, which enhances overall mood. Employees should also feel a benefit in the air quality in an open-plan office, given that there should be an increased flow through the space. The results of a study of 231 workers in four separate workplaces in the USA was published in the British Medical Journal, and it found that workers in open seating were around 31.8% more active in the workplace than those who sat in cubicles and private offices. It suggested that the open-plan layout encourages an increase in physical activity by maximising colleague interactions. The study – Effects Of Office Workstation Type On Physical Activity And Stress – assessed physiological stress response, activity and perceived stress via a small sensor worn on the chest. There was more good news for employers who prefer to construct their businesses in an open-plan layout, with workers who sat in ‘open bench’ seating experiencing 9.1% less perceived stress than those working from cubicles. The open-plan nature of offices was also found to be more likely to give staff a sense of awareness of their co-workers. And the study found that casual conversations were more likely to be initiated in an open office. Furthermore, workers are required to move around more in an open-plan space, as essential equipment such as shared printers will be located further away from their desks. Not only does an open-plan office help colleagues to collaborate better on ideas and projects, but it also assists with cost-saving goals. In a new office, there are fewer walls to build and separate rooms to construct, so a lot of money is saved, which can only be good for businesses. 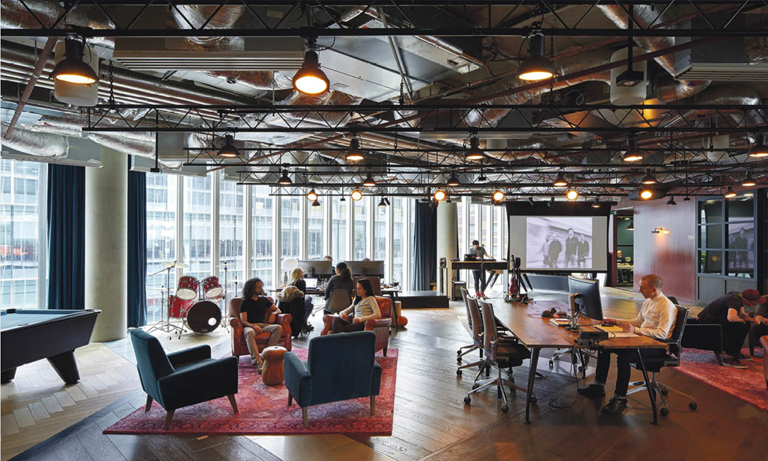 It has also been shown that it is possible to find more work stations for new employees in an open-plan setting rather than trying to accommodate them in already filled rooms. An open-plan setting is much more economical, and employers should see reduced electricity, heat, and air conditioning costs.